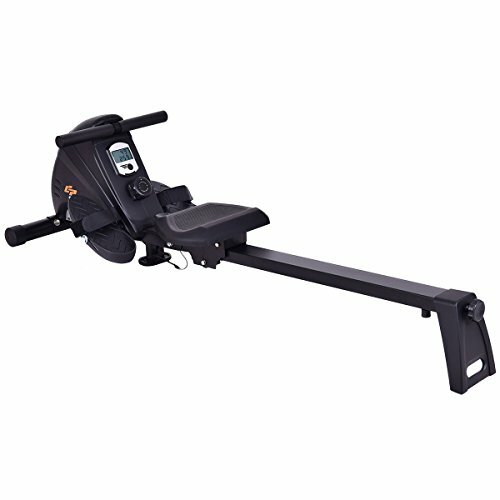 This is our brand new rowing machine for excellent and professional indoor exercise. It provides an outstanding way to increase fitness by burning calories and building muscle in a safe, low-impact way. Made of durable steel, this ultra smooth and quiet rower features an elastic cord resistance with 10 levels of adjustable tension which makes it the perfect addition to your home gym. It features pedals with adjustable straps and an easy to read monitor which displays total count, calories, count per min, count, scan, time. Don't hesitate to buy one to do home gym! Seat size: 10" x 14"
Pedal size: 5.3" x 12"